Celebrate Earth Day In Beautiful Ventura! Earth Day is on Monday, April 22nd! With its incredible natural setting, the community of Ventura takes great pride in its environment. Our residents recognize the importance of celebrating and protecting our beaches, waterways, green spaces, and all the gifts Mother Earth has put in our very own backyard. Be a part of the celebration during the award-winning Ventura Earth Day Eco Fest!!! Enjoy family-friendly, eco-fun and entertainment on Saturday, April 27th, from 10:00 am to 4:00 pm at Plaza Park (651 East Thompson Boulevard). Join 5,000+ neighbors and friends as we celebrate Earth Day. Check out the 80+ eco-exhibits, including the Green Auto Expo, for great informational material and interesting demonstrations. Watch incredible live entertainment by Jade Hendrix, Sea at Last, Anchor and Bear, Shelby Figueroa & the Vine Artist Collective, Grace Fellows, and Pacific Sound (exact schedule TBD). Stretch it out and relax during a free BYOM yoga class. Enter to win amazing prizes during the Earth Day Raffle and Silent Auction. Bring your children to the kids’ activity areas for recycled crafts, fun games, exciting scavenger hunts, and much more! Dine on delicious treats from your favorite food vendors, including The Grilled Cheese Truck, It’s In the Sauce, Rice Balls of Fire, Kona Ice, The Deli Doctor, and Belly BombZ. Be green and ride your bike to the Ventura Earth Day Eco Fest! There will be a free Bike Valet and ample secure bicycle parking locations. Blake Mashburn wishes everyone in Ventura County a very Happy Earth Day! If you are interested in Buying your dream home in one of our eco-friendly communities, give us a call today or visit our website at http://www.blakemashburn.com/. Top Eco-Friendly Features For Your Ventura Home! Spruce Up Your Ventura Home This Spring! Spruce up your Ventura home this spring! Keep your home and yard in tip-top shape for the year by giving it some attention now. Check out these home maintenance tasks to complete this spring! Before it gets much hotter in Ventura County, you need to make sure that your AC is ready to run. Use a hose (low pressure) on the outside of the unit to clean dirt and dust from the condenser. Replace the filter. Call a professional to look at your AC unit if it has been some time since its last maintenance check. Be able to marvel at your stunning landscaping by giving your windows a good scrub. The best way to ensure that all smudges and streaks are removed is by having a partner simultaneously wash the inside of the window(s) while you wash the outside. Concrete and brick can become loose on walkways and patios. Look for any of these trouble spots and hire a handy man to come fix it right away. This will avoid preventable mishaps when you have guests over this spring and summer. Re-strengthen the supports of your fences and check for broken gates that need replacing. Give Your Lawn Some TLC! Keep your grass happy and healthy all year by feeding it some nutrients this spring. Fight weeds with home grown compost or a high-nitrogen fertilizer. Have mulch delivered to your home and add 2 to 4 inches to your planting beds. Doing so, will help your beautiful plants thrive. Summertime barbecues are a great tradition. Make sure you are ready to grill up some burgers and other tasty treats by maintaining your grill. Give the grates and metal plates a good cleaning by soaking them, scrubing them, and rinsing them. Clean the walls and hood with a grill brush as well. Check the hoses and connections to make sure they are all working properly. Follow us on Facebook and visit our Website for more home maintenance tips throughout the year. Ventura Spring Wine Walk & Street Fair This Saturday! 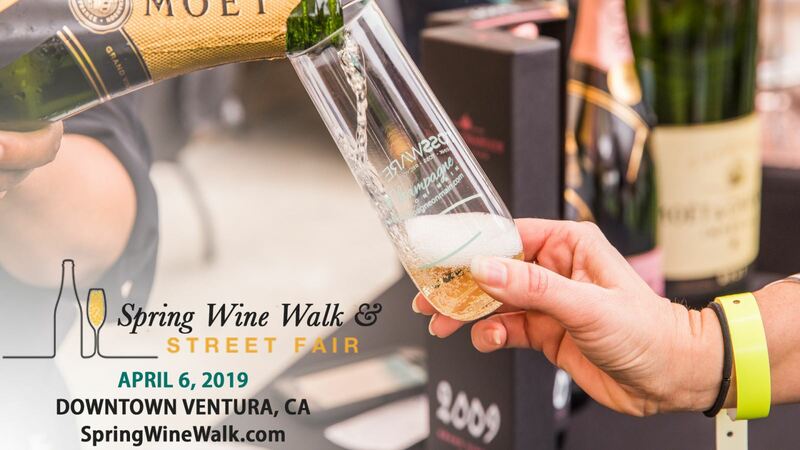 Meet us at the Spring Wine Walk & Street Fair in beautiful Ventura this weekend! Saturday, April 6th, will be filled with unique arts & crafts, delicious wine samplings, and family fun activities! The SPRING STREET FAIR takes place from 11:00 am to 6:30 pm with FREE admission. The 300, 400 & 500 block of Main Street will be filled with a multitude of vendors, including talented local artists, fantastic non-profits, incredible live entertainment, and So Much More! From 3:00 pm to 6:00 pm, head out on the WINE WALK! Discover the best champagne, wine, beer, and sparkling wines at the various Tasting Sites located throughout Downtown Ventura. 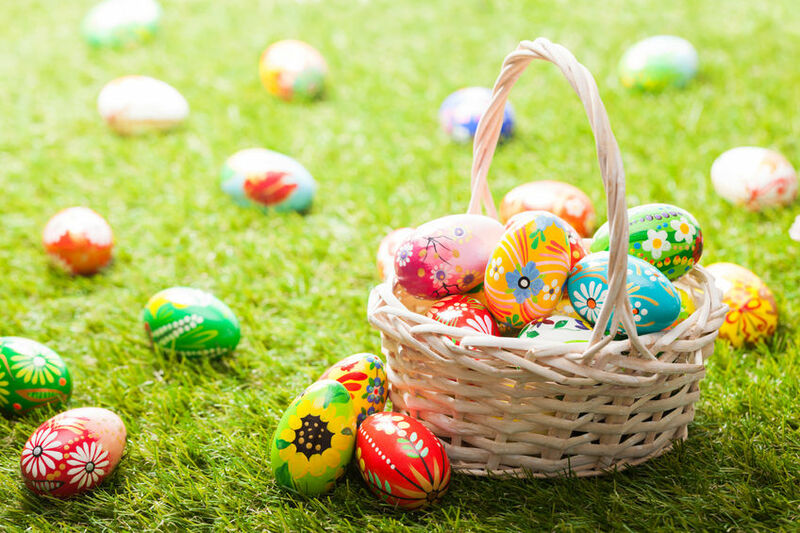 For the ultimate weekend experience, swing by the VIP Bunny Lounge (3:00 pm to 6:00 pm). This 21+ years of age and older area will hold additional wine tastings as well as a variety of exclusive, delicious sweets! Tickets for this fantastic community event can be purchase online HERE or in person at the Ventura Visitors Center (101 South California Street)! All proceeds will help the Downtown Ventura Organization in their mission to cultivate a vibrant commercial and cultural district in our community! Enjoy Selling Success By Listing in April! Home sellers are always looking for the secret to selling success! Although the housing market is unpredictable, there are some trends that always seem to hold fast; one being that spring is the hottest time to sell. But, here is even better intel! The best time to list your Ventura is right NOW! It truly is the perfect time to sell your home. Aside from less competition from sellers, you will enjoy eager buyers! Interest rates are at the lowest they have been in months -- below 4.5%! In addition, the majority of buyers on the market are hoping to be in their new home by summer time. 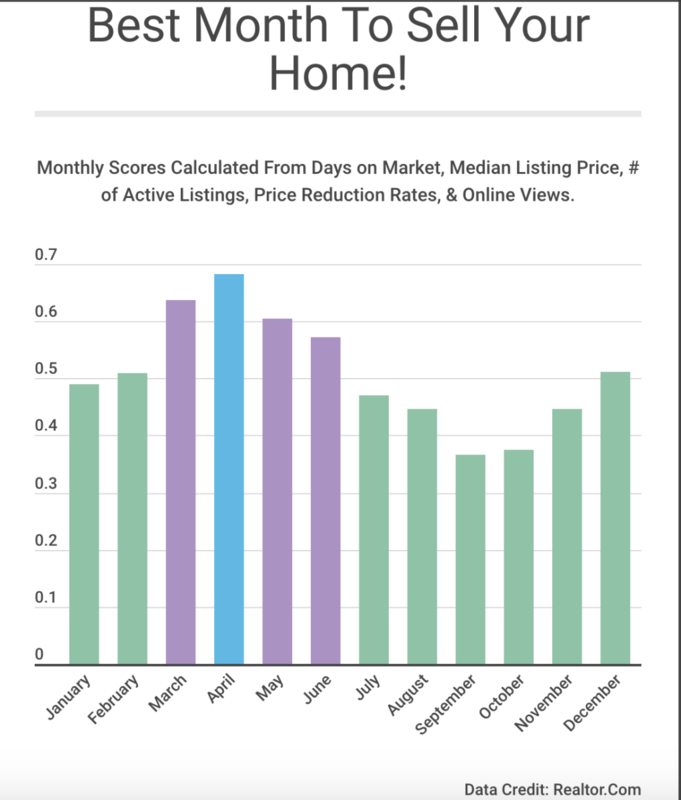 Your Ventura home will more likely sell quickly and for top dollar if you list this month! Work with Blake Mashburn to Sell your Ventura home today! Give us a call at (805) 856-9350 or visit http://www.blakemashburn.com/! Safest Cities in Ventura County! Not only is Ventura County stunningly beautiful, it is also incredibly safe! 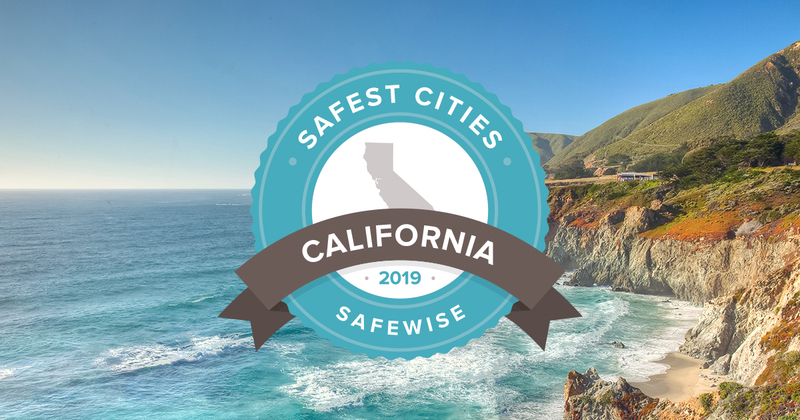 Three Ventura County communities were ranked within the state's top 50 safest cities by home security and safety website SafeWise. To determine their 2019 rankings, SafeHome gathered data from the FBI's Uniform Crime Reporting Program and the U.S. Census. The communities of Moorpark (#25), Thousand Oaks (28), Simi Valley (40), and Camarillo (24) were all recognized for their dedication and success at keeping their residents safe. Not only were these communities top ranked within the state, but all have lower average crime rates than the majority of cities around the United States! If you are interested in Buying your dream home in beautiful and safe Ventura County, give Blake Mashburn a call today or visit our website at http://www.blakemashburn.com/. Front Porch Decorating Tips To Attract Buyers! As the main welcoming center into your house, your front porch is a great way to attract buyers. If you are looking to sell your Ventura area home (or are just looking for a fresh facelift to your homestead), update it's curb appeal by creating a cozy, outdoor living space. Give it a good cleaning and utilize these design elements for the perfect front porch! Create a great gathering spot on your front porch with some comfortable seating. 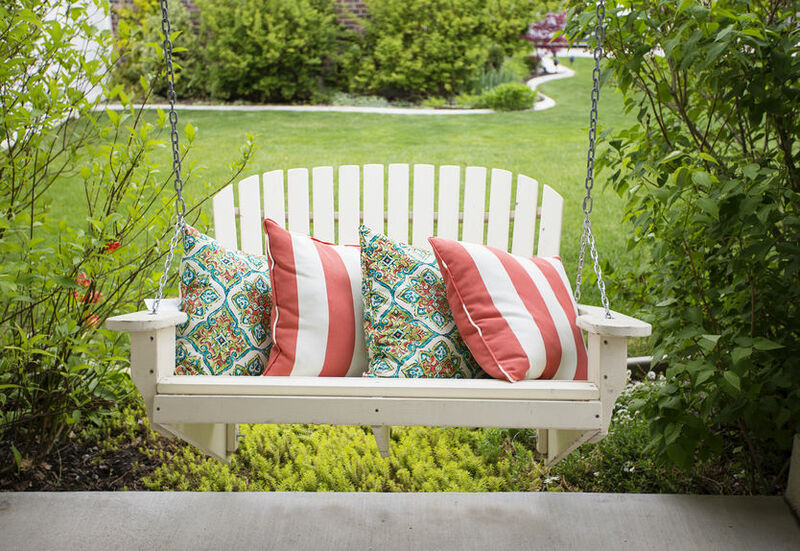 Place two chairs together or add a porch swing for an outdoor living space. Now that you have a great spot to sit, you need somewhere convenient to rest a book or a refreshing beverage. Add an outdoor coffee table or side table to your seating area. A doormat isn't just a spot to wipe your feet before entering. It is also a great design accessory for your front porch. Consider the color of your home's trim or the front door and coordinate the colors you use on your front porch. Maintain the same color palette for any outdoor accents you use, including for your seating, doormat, and plants. Bring the greenery of your landscape up onto your front porch with potted plants. Use perennials, succulents, or other hearty green plants that will last all year round. A great way to update your front porch based on the time of year is with seasonal plants. Thanks to the temperate California weather, you can switch it up all four seasons. Add a vase of plants to your table or place window boxes around the porch. A beautiful way to draw potential buyer's eyes to your front porch is through the landscaping. Add colorful plants leading toward your front door. As an added bonus, this creates an even more pleasant environment for those sitting on the front porch. Create a welcoming area with lighting. A good rule of thumb is to have at least 3 light sources placed around the front porch. Make sure that your house numbers are always well-lit so your home is easy to locate no matter the time of day. The California sun can be too much in the summer. Instead of avoiding your front porch, there are some awesome features you can add to cool it down and make it look great! Consider adding an outdoor ceiling fan for a nice breeze. Fade-resistant outdoor curtains are also the perfect solution to block the sun and create some privacy. Work with Blake Mashburn for all your Selling needs! Give us a call at (805) 856-9350 or visit http://www.blakemashburn.com/ to get started today! How To Stay On Financial Track During Your Mortgage Approval! You just put in a mortgage application for a new Ventura CA Home! Congrats! Although you might know without a shadow of a doubt that you will get approved, your financial diligence is not over! The lender will be tracking your assets throughout the process. Any changes can therefore have a negative impact on your qualification for the loan. 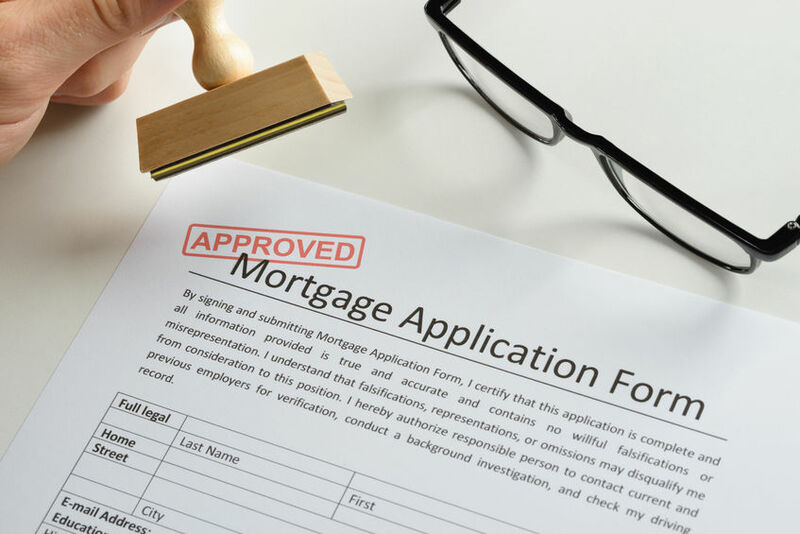 Here are the major financial moves to avoid while you are going through the mortgage application process! 1. Stay At The Same Bank: Remember, lenders need to source and track assets. To make sure that your lender can easily source and track your assets, you should keep the same bank account(s) that you listed on your application. Avoid closing your account or opening a new one at a different bank. 2. Keep All Credit Accounts Open: Closing credit accounts will change your credit history (which goes beyond payment history to look at length and depth of credit) as well as the ratio of your credit usage to the percentage of available credit. This will have a negative impact on your score. 3. Don't Open New Credit: Stay on track for approval and keep your interest rates lower by not opening any new lines of credit, including auto loans or additional credit cards. 4. Avoid Cash Deposits: It is important that your deposits are traceable and cash is not. Ask your lender the best way to document transactions before depositing cash into your bank account. 5. Maintain Your Job & Current Salary: Your annual income and its source are important factors in your application. Avoid any changes in your employment. 6. Do Not Purchase Other Large Items: This is one of the more common mistakes. Stay on track to qualify to avoid making any additional large purchases (ie automobiles, furniture, electronics, etc.) during this time. 7. Don’t Become A Co-Signer: Although you might not be the one making the payment, the payment will be counted against you if you co-sign on a loan. You might want to help out your friend or loved one but hold off doing so while you are looking to purchase a home. For more Home Buying and Home Financing Tips, check out our Website and follow us on Facebook! Tasks To Help You Prep Your Ventura Yard For Spring! Get your Ventura yard ready for spring by prepping it today! 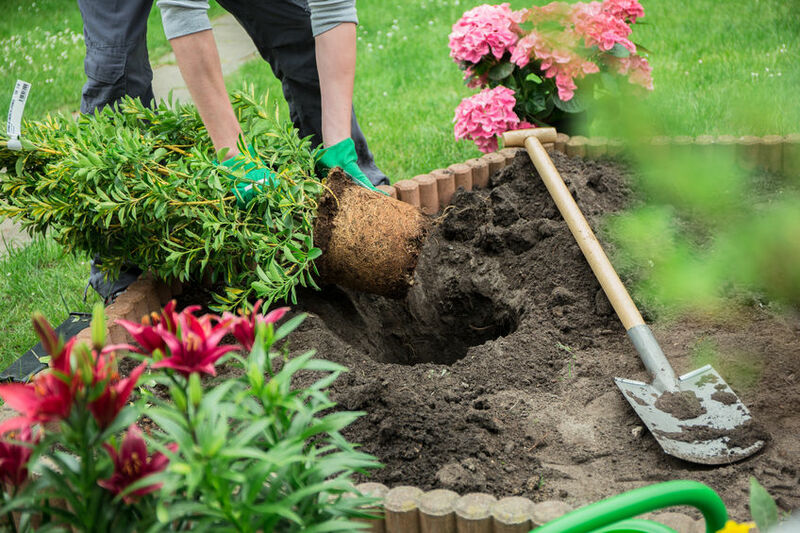 Before the weather warms up too much more, you will get the best results and save time by taking care of your landscape now. Here are the best lawn tasks for you to complete to prep your yard for spring! Keep your lawn mower in tip top shape all season long! Before you have to start using your lawn mower on a regular basis, it is best to service it now. Give it an oil change. Clean the air filter. Replace the spark plugs. Sharpen the blades. Look for bare or thin spots of grass in your yard. Add sod or spread grass seed across these areas. Doing it now before soil temperatures rise more will help keep weeds from growing in those areas instead. Do a thorough clean up of your yard. Remove all branches, leaves, and clumps of lawn debris from your yard and garden. This natural clutter can stunt new growth so it is important to remove it in enough time for the spring blooms to take root. Check your soil to make sure that it is dry. The best test for this is to see if the soil crumbles in your hand instead of clumping. If it is crumbly, start pruning your shrubs and trees and remove growth from perennials. Add slow release fertilizer to trees and shrubs. Use fertilizer that has a pre-emergent herbicide because this additive will fight weeds before they germinate. Now it's time to get your green thumb going! You can begin adding bare root plants and other foliage that will love the current cooler temperatures. Go to a nursery and preorder your perennials. You will take advantage of early spring savings and will have the best selection of plants. Follow us on Facebook and visit our Website for more great home improvement and landscaping tips!